From the Levee to the Pavilion, there’s so many family friendly things to do in Newport, Kentucky! There are so many great places to eat, places to play and places to just hang out. And if you want to do some shopping Newport has it’s very own Magnificent Mile on Monmouth Street with all sorts of interesting shops. There’s really so many things to do in Newport, your family could spend a whole day exploring this city! Shopping for Antiques or vintage finds? You must stop at the Monmouth Street Antique Gallery….they have so many cool treasures! 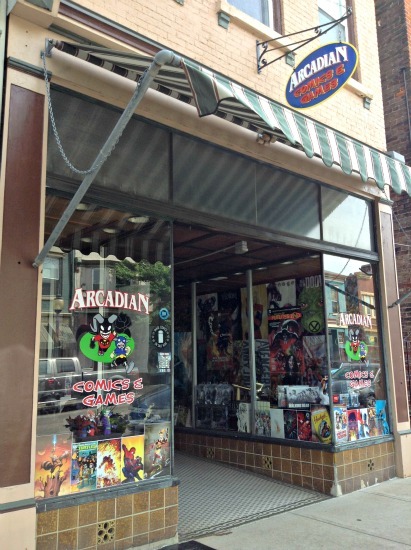 Get your comics & gaming fix at Arcadian Comics & Games. 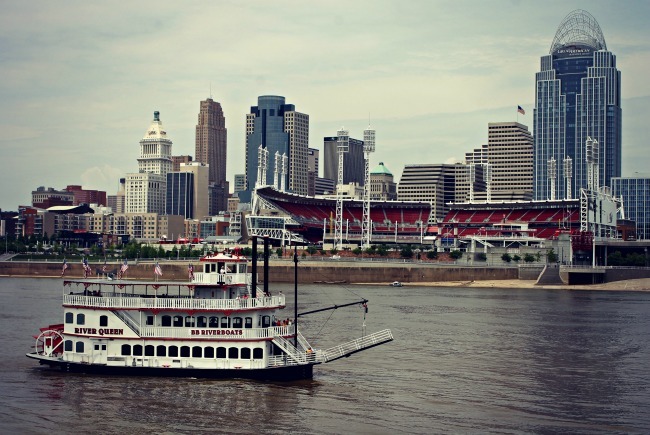 Book your family a BB Riverboats cruise to take in the sights of the lovely Ohio River! Take the family Bowling at one of Newport’s three bowling alleys…Axis Alley at the Levee (21 + after 9pm), Walt’s Center Lanes and Super Bowl Bellewood. Visit their websites to find out about pricing, hours and possibly even find some deals or discounts! Start your day with Breakfast! 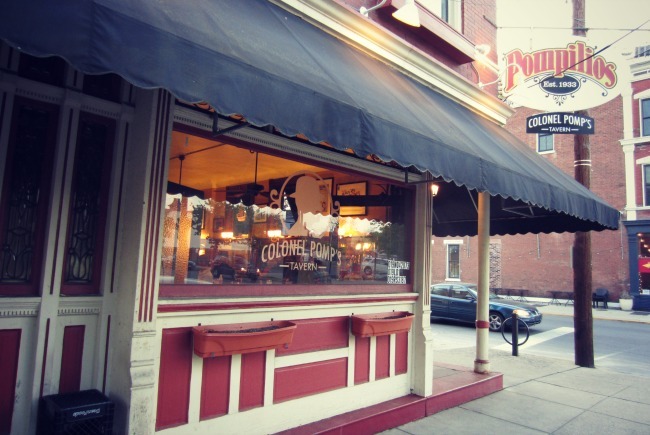 Newport offers many different places to grab a bite to eat to start your day. 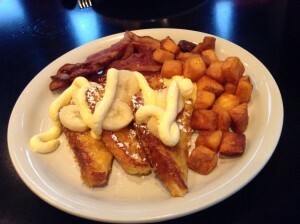 There’s Mokka (home of our favorite Mokka French Toast! ), Sis’s on Monmouth or Lana’s Family Restaurant for a traditional diner breakfast, or Katharina’s Cafe for a traditional German breakfast….and this is just to name a few breakfast options in Newport! Celebrate a special occasion in style with a delicious dinner at York Street Cafe or the Chart House. For Kentucky cuisine plan a dinner at the Green Derby Kentucky Bistro. Need a cup of Joe? Get your Coffee fix at Carabello Coffee or Newberry Bros. Coffee. Both locally owned coffee shops are great hangouts to meet up with friends! Looking for the perfect costume or want to spruce up the kid’s dress up box? Costume Gallery has all sorts of great costumes! Newport is the perfect place to have Dinner with a View. There’s so many restaurants to chose from where you can dine with gorgeous views of the Ohio River and Cincinnati. Head to Riverboat Row or The Levee to take your pick of dining options! For authentic Mexican cuisine grab dinner at El Rio Grande Restaurant (my favorite chimichanga in town). Love cakes & baking? 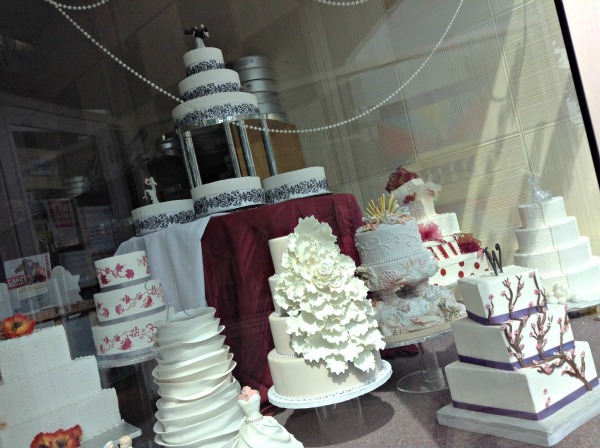 Stop by Fantasy in Frosting to pick up baking supplies, order a cake or even take a cake decorating class! It seems that there’s no shortage of Festivals in Newport throughout the year, celebrating everything from Goetta to Italian Heritage. For a list of festivals and events in Newport visit the City of Newport’s Website. Have a skater in the family? 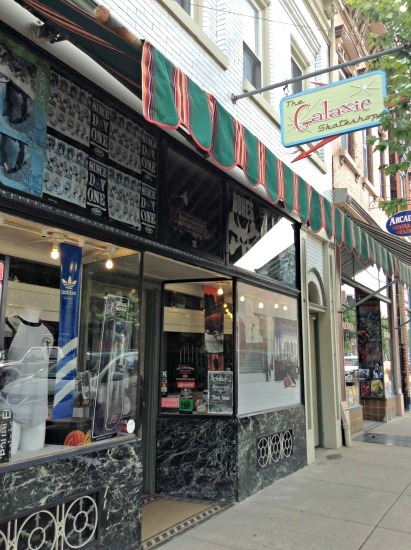 Stop by The Galaxie Skateshop on Monmouth! Get some fresh air and watch the boats go by at the General James Taylor Park on Riverboat Row! One Scoop or Two? Graeter’s Ice Cream has two locations in Newport where you can get a scoop of their delicious ice cream! Take the family out for a German dinner at Hofbrauhaus in Newport. Every second Tuesday of the month is Family Night – for each adult entree you buy you get a FREE kid’s dinner! And to make the night even more exciting for the little ones they have face painting, balloon artists and more! One place you can always find FREE fun is the public library. Visit the Newport Branch of the Campbell County Library to check out books and movies or to attend one of their many free family friendly events and activities. In the mood for Meat for dinner? Go to Mad Mike’s Burgersfor a tasty burger or Packhouse Meats for fresh hand-packed meats of all sorts. Music lovers can score some cool vinyl at C&D Record Bar on Monmouth. Beer & Bourbon aficionados need to stop by New Riff Distillery and Ei8ght Ball Brewery at the Party Source. At New Riff you can take a tour to get up close and personal with the bourbon distilling process and then stop at Ei8ght Ball Brewery for a pint of craft beer. This might be best for a date night, but kids might like shopping at Party Source because it’s an awesome place to find party supplies and they have an impressive line up of root beer (always a favorite at our house). Head to the Newport Aquarium to meet all the resident sea creatures that live in Newport…everything from jellyfish to otters to sharks! Want to eat fresh? Stop by the Newport Farmer’s Market at 709 Monmouth Street (Next to Pepper Pod Restaurant) on Saturdays during the summer months. 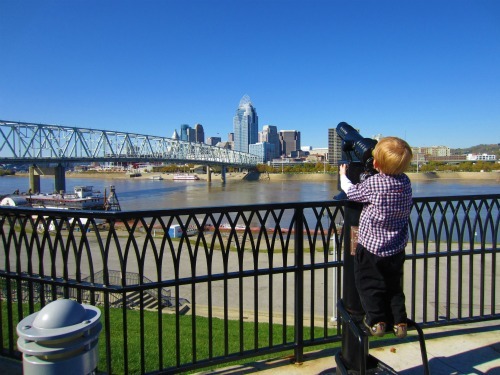 Take the family to Newport on the Levee for a meal at one of the many restaurants located here, to see a movie at the AMC Theater, to do a little shopping, visit the Aquarium or just to take in the sights of the Ohio River. There’s so much to do at the Levee! Grab a Pizza Pie! 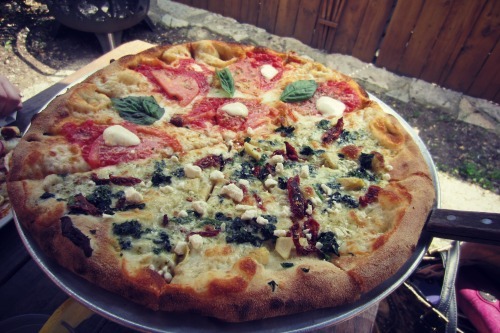 Newport is home to three of our favorite places to eat Pizza.…Dewey’s at the Levee, Strong’s Brick Oven Pizzeria and the Newport Pizza Company. Take your pick…you won’t be sorry! In the mood for Italian? Dine at Pompilios, where they are not only known for their pasta, but also for their ties to Hollywood. Dustin Hoffman and Tom Cruise filmed scenes at Pompilios for Rainman! Stroll across the Purple People Bridge for gorgeous views of the Ohio River. 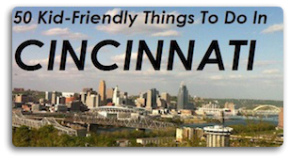 This is a great way to get a little exercise and to visit some of the parks in Downtown Cincinnati. Reser Bicycle Outfitters is the place to go for all of your cycling needs, whether it be a tune-up or a new helmet, they will fix you right up. And even if your bike doesn’t need any TLC you can hang out at Trailhead Coffee located at Reser Outfitters. 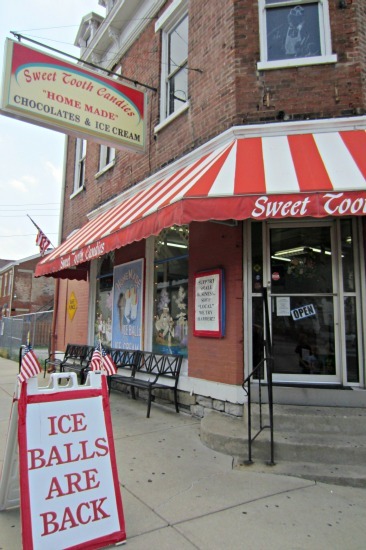 Follow your sweet tooth to Sweet Tooth Candies for some homemade chocolates or an ice ball during the summer months! If it’s cookies and baked goods you are after stop by The Cookie Jar or Bernhard’s Bakery. Seeking comfort food with a twist? 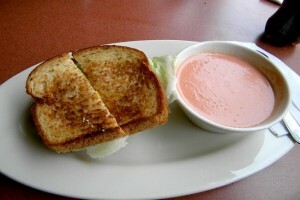 Try Tom + Chee for a gourmet grilled cheese! My favorite is the Armagoetta, made with local goetta. YUM! Stop by the World Peace Bell to see one of the world’s largest swinging bell that represents freedom and international peace. We did our best to think of as many awesome things to do in Newport as we could, but if we missed something please comment below to give our readers even more ideas!